Newangle have produced over 40 interactive and AV exhibits for this exhibition about energy science in Saudi Arabia, designed by Jack Rouse Associates. 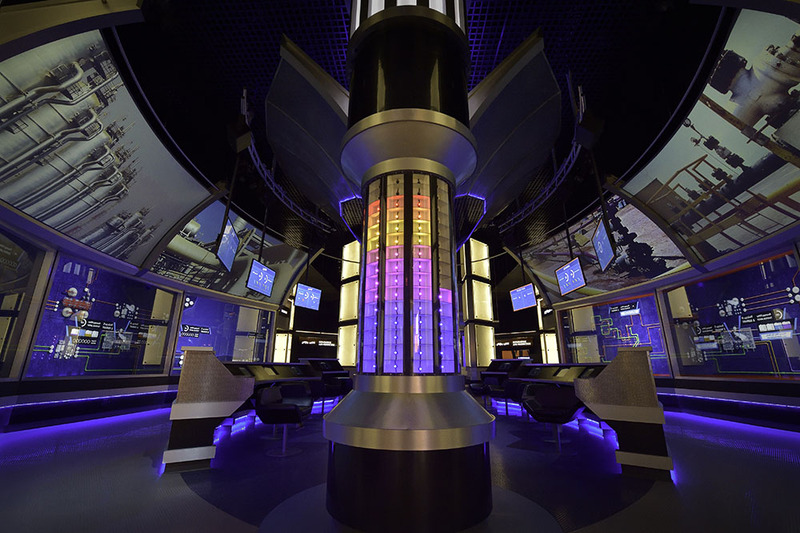 The centre focal-point is a spectacular 12-player interactive game incorporating 24 screens replicating the ‘control centre’ in a petroleum company where players learn about oil production, refining and distribution through fun games played on touchscreens. See more on our The Energy Exhibit project page.